Last night’s mild earthquake caused a corner of the cellar to crumble. When we were able to clear the dust and debris away, Mordecai and I discovered a cache of old journals and musical instruments from generations passed. This cache included a bronze ukelele, a harp made of yeti ribs, and a number of ocarinas. An ocarina is a simple wind instrument, often made of terra-cotta with a mouthpiece and finger holes. Ocarinas are often egg-shaped and is casually referred to as a “sweet potato” in the United States. Ocarina stems from the Italian dialectal ucarenna, which is the diminutive form of Italian oca, meaning goose. In other words, ocarina means little goose. The instrument is thought to look like a goose’s beak, hence the name. You might be familiar with the ocarina from the video game The Legend of Zelda: Ocarina of Time. Or perhaps you had a small plastic ocarina when you were a child. 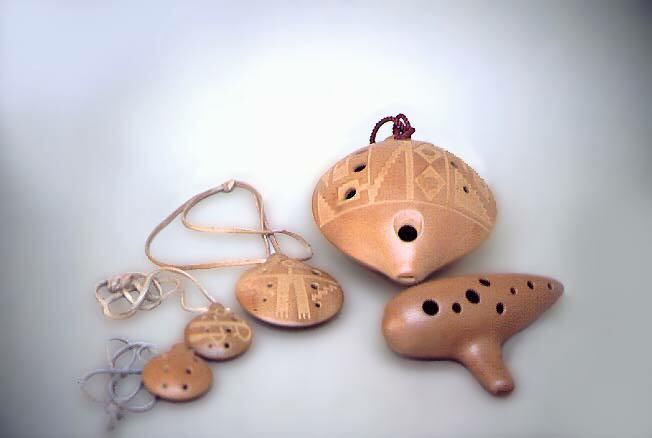 There are a number of different types of ocarinas, the most commonly known being the transverse ocarina. It is shaped a bit like a laser-blaster. There are also smaller, more portable versions of the instrument that look distinctly egg-like. These are called Pendant Ocarinas. Peruvian Pendant Ocarinas were used by the Incans for rituals, festivals, and ceremonies. Often animals were painted on these ocarinas. It is supposed that the European explorers (like Cortez) brought versions of these ocarinas back to Europe from Mesoamerican explorations. It was then that the music and dance of the ocarina was introduced to Europe. Mordecai is playing a strangely haunting tune on one of the ocarinas that fell out of the cellar wall. This one is made of quartz and is engraved with what look like dragons. Bubo is enjoying a cool night in the October skies over Brooklyn and I am considering these old journals. With a glass of port, naturally. I woke this morning to a loud crunching in my bedroom. I opened first one eye and then the other, slowly and warily I must add, because in this house, you really never know what is behind a sound. It was Bubo, naturally, snacking on a grasshopper. Where she got a grasshopper in Brooklyn I don’t know, but she was happily munching on the poor creature. To be honest, the sound made me hungry for extra crispy bacon, so Silas is cooking a large spread for the humans in the house. Bubo’s morning snack brings me to today’s word. A hopperdozer is a device for catching and destroying insects (specifically grasshoppers). It consists of a high-backed sheet of metal with an iron tray attached that is dragged (on sled runners or wheels) through grass and fields containing grasshoppers. The grasshoppers jump up and then hit the high back, then they fall into the tray which is filled with kerosene or a poison that kills them. An agricultural term, hopperdozer most likely is derived from hopper for grasshopper and doze or dose for dosing the bugs with poison. This etymology is, of course, inexact. A largely obsolete tool, the hopperdozer no longer enjoys infamy in the fields. It is incredibly fun to say, however. Unless you’re a grasshopper. Then it must be terrifying. Today is a national holiday in the United States. Most states here celebrate Columbus Day, to commemorate Christopher Columbus and his “discovery” of America. 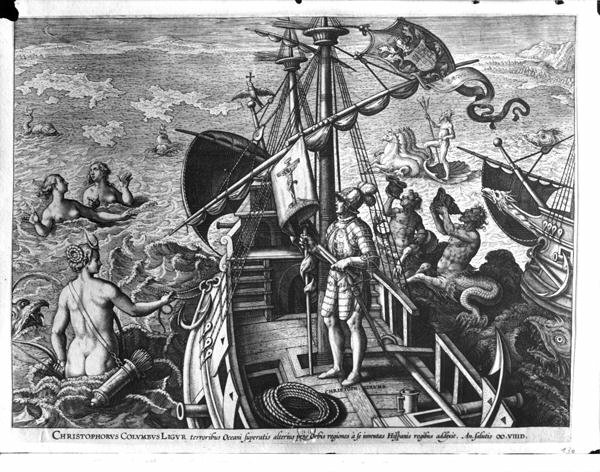 Clearly, Columbus was not the first human to have knowledge of America – there were people already here and he was not even the first European to land on these fair shores. What Columbus did amounts to an excellent job of marketing and promotion – for better or for worse. New York celebrates Columbus Day with an enormous parade. South Dakota, on the other hand, no longer celebrates Columbus Day on this day – those citizens celebrate Native American Day to commemorate the indigenous peoples of this land who suffered greatly due to Columbus’s marketing campaign for the New World. There is continued controversy with this holiday; while on the one hand it celebrates the European influence in the history of the Americas (Italian-Americans celebrate heartily the positive impact Italians have had on this country), folks argue that the holiday then also celebrates the colonization and near-destruction of the indigenous peoples with little (to no) regard for their cultures and basic human rights. Whatever your stance on the holiday (or Christopher Columbus), for many people this day is a holiday from work, and that is a cause for celebration. Perhaps taking some time from your parade/cook-out/loafing plans to learn more about European exploration, the indigenous peoples of the Americas, and the mixed legacy of colonization would be in order? This is not a lecture, dears. It is merely a suggestion. Holidays are so much sweeter with a wee bit of knowledge, aren’t they? In the great and vast Patagonia Desert wander the corel pipchiche – creatures of the sand. Large and benevolent creatures, they make their way through sand storms and cold winds, communing with the Tuco-Tucos and Jumping Cow Spiders who also live in the desert. The corel pipchiche are rumored to be Ngen-rüpü, spirits of nature who are the owners of the paths created by nature and the footsteps of the wild animals. 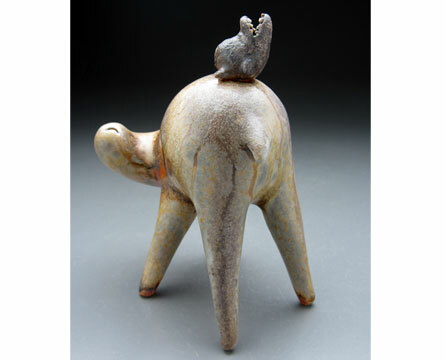 They travel together in pairs – the larger “choele” and the tiny “chile”. They are the “ghost” and the “little bird”, beings of the desert. Mapuche legend has it that when a traveler is ñamikuaw, the Mapuche word for walking lost, the corel pipchiche will appear to lead them back to their path, sometimes before the journeyer even realizes they are lost. Once the traveler is back safely on their way, the corel pipchiche slowly fade back into the horizon, the call of the chile echoing off of the desert floor. This experience stays vividly with the traveler for a full day, or one sleep. Once they have slept that one dreamless sleep, their vision of the corel pipchiche will seem like a hallucination and hardly real. But the corel pipchiche are real, and these travelers have been indelibly marked. The corel pipchiche do not judge those who have lost their way; they merely show them back to their footpaths and fade back into the desert sky. The order of the desert is kept in balance by these wanderers, these owners of the paths, these spirits of nature. They know the perils of the wild world and the perils of travel. And they keep us safe in spite of ourselves.